Funeral services for Mrs. Annie Ruth Bowman Brown of Montezuma, Georgia will be Saturday, November 3, 2012 at 11:00 A.M. at the Mt. Pleasant / Travelers Rest C.M.E. Church in Montezuma, Georgia with Rev. Sidney Kendrick officiating. Burial will follow at the Mt. Pleasant Cemetery. Mrs. Annie Ruth Bowman Brown, daughter of the late Ambus and Annie Maude Bowman, was born September 1, 1931 in Macon County, Georgia. Ruth grew up in Montezuma and attended Macon County Training School. She was married to the late James Brown and was the mother of seven children. Mrs. Brown was a loyal and faithful member of Mt. Pleasant/Traveler’s Rest CME Church where she sang in the choir, was president of the Pastor’s Aid Society and a member of the Missionary society until her health failed. Ms. Ruth will always be remembered for her selfless nature, her kind and generous spirit, and her willingness to help others. Cooking was her passion. She loved to cook, bake and watch as family and friends enjoyed her tasty dishes. On Tuesday, October 30, 2012 at Houston Medical Center, Warner Robins, Georgia, God called her from labor to reward. She was preceded in death by one son, Edmond Brown. She was also preceded in death by her sisters and brother, Ella Mae Oliver, Aline Johnson, Eula Mae Edwards and Lonnie Bowman. Her beautiful life will forever be cherished in the lives of her children: James (Debbie) Brown of Anaheim, California, Lenoir (Asia) Brown of San Diego, California, Leroy Brown of Perry, Georgia, Mitchell (Stella) Brown of Warner Robins, Georgia, Ann (Gerry) Harris and Tony Brown of Montezuma, Georgia; two grandchildren that she helped to rear: Shantray Ross and Michael Brown; twelve additional grandchildren, nine great grandchildren, a host of nieces, nephews, other loving relatives and friends. 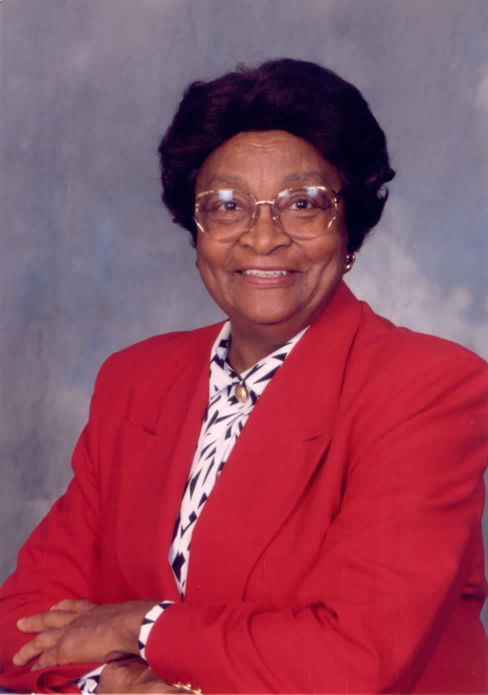 Graveside services for Mrs. Mollye Odom Hankerson of Oglethorpe, Georgia will be held on Tuesday, October 30, 2012 at 11:00 A.M. at the New Hope Baptist Church Cemetery in Montezuma, Georgia with Rev. Allen Waters officiating. Mollye Rene Odom Hankerson was born February 4, 1925 to the parentage of the late Mr. Curry Odom and Mrs. Kittie Mae Harvey Odom. At an early age, she professed her faith in Jesus Christ and became an active member of New Hope Baptist Church. She transcended from labor to an everlasting life of peace and rest on October 26, 2012. After graduating from the Macon County School System, she continued her education at Albany State University, and later matriculated at The Fort Valley State College, graduating with a Bachelor of Science degree in Education. Mollye was a passionate, prolific, no nonsense mathematics teacher, devoting her life to the education and edification of the students of Macon County for 41 years. She was married to Mr. Charles R. Hankerson, Sr., and to this union, two children were born. A daughter, the late Mrs. Zettawee C. H. Byrom, and a son, Mr. Charles R. Hankerson, Jr. An avid gardener, Mollye spent hours cultivating and maintaining an award winning yard. She loved azaleas and lilies especially, and spent hours doting on the many varieties of flowers and topiaries in her care. Preceding her in death are her brother, Mr. Timothy Odom, Sr., and her sisters Mrs. Amye Odom Marshall, and Mrs. Eria Odom Johnson. She leaves to cherish her memory and uphold her legacy her son, Mr. Charles R. Hankerson, Jr.; her sister, Mrs. Rosetta O. Harmon, Cincinnati, Ohio; her brother, Mr. Willie James (Norma) Odom, Montezuma, Georgia; sister in-law, Mrs. Alberta Odom, Montezuma, Georgia; brother-in-law, Mr. Marvin Johnson, Montezuma, Georgia; a granddaughter, Nikki R. Byrom, Oglethorpe; grandson, Kelvin M. Byrom, Oglethorpe, Georgia; a great granddaughter, Kennedy M. Byrom, Fort Valley, Georgia; and a host of nieces, nephews, and other loving relatives and friends. During her illness, she was blessed to have the love and support of several caring individuals, most specifically, Mrs. Iris Ridley, Mrs. Tyechia Hall, Mrs. Sheila Lester, Mrs. Cassandra Rogers, and Ms. Onethia Sloan, in addition to the other nurses and support staff of United Hospice of Cordele, Georgia. Funeral services for Mr. John T. Denson of Smithville, Georgia will be held on Friday, October 12, 2012 at 1:00 p.m. at the Green Grove Baptist Church with Rev. Hosie Waters officiating. Burial will follow in the Green Grove Cemetery. Veteran John T. Denson was born in Lee County, Georgia on February 22, 1924 to the late Sam Ware and the late Mary Ware. At an early age, he joined the Green Grove Baptist Church and served as a devoted member until his health failed. John was preceded in death by one brother; Joseph (Mattie) Humphries; and one sister, Lutherine (Robert) Lewis. John was educated in the Lee County School System. He later served in the U. S. Navy for 20 years. After his retirement from the military, he moved to Boston, Massachusetts where he worked for many years with the City of Boston. He later grew lonely and decided to come back home to be with his family. After a brief illness, Uncle John took his final journey to be with the Lord on Friday, October 5, 2012. He leaves to cherish his memories three nephews: including a devoted nephew and caregiver, Randolph Lewis, Smithville, GA, Robert L. Lewis, Atlanta, GA and Joseph Williams, Smithville, GA; four nieces: Jeanette (Eugene) Goodin, Joyce (Curtis) Angry, a devoted niece and caregiver Linda (Charlie) Thomas, all of Smithville, GA and Rosalyn Johnson of Destin, Florida; a host of great nieces, great nephews, and friends including devoted friends the Rivers family, George "Bubba" Williams, Vista Care Hospice Staff of Columbus, Georgia including Marilyn, Melody, and Brother Mark.